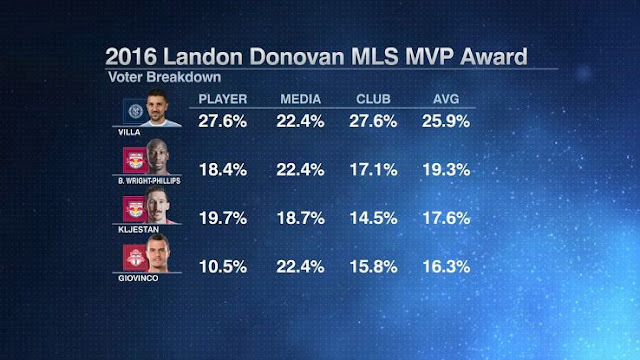 David Villa is your MLS MVP for 2016! 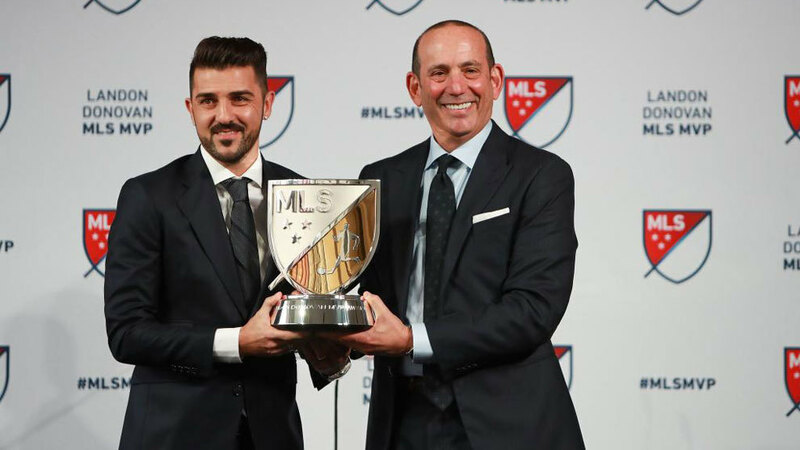 The media was split evenly between Villa, Bradley Wright-Phillips and Sebastian Giovinco, but the players and clubs voted for him overwhelmingly. Makes me wonder how many voters there are in the press. Couldn't happen to a more deserving guy - Villa is a real treasure, tirelessly working for the team on and off the pitch. I'm proud to have him representing my club.